Once again Parentville is here to prove that there is no such thing as a dull period in this region! Never. Make yourself a cuppa of something warm before you start reading about this year’s extremely family friendly November in Geneva. When I say Geneva, I mean the canton, not the only the city. There’s plenty going on in Thonex, Meyrin, Vernier, and other municipalities of the canton. They are all easily accessible with public transport – even the “campagne genevoise”. For a detailed list of each weekend’s family-friendly activities, head over to Instagram and follow Parentville! The weekend activities are posted every Friday in the Instagram stories. We can’t wait for this event! On the occasion of 18th Wright Colloquium, the Wright Foundation will organise a magnificent mapping spectacle – a sound and light show. The scene will take the form of the facade of the Uni Bastion central, the oldest building of UNIGE in Parc Bastions. The theme of this year’s edition is gravity and universal attraction. Find out more about this event by visiting the website of the 18th Wright Colloquium. A new exhibition in the Science History Museum was launched in October. It is all about machines that help us carry weight. Come and find out how they differ, how they work, and how to put them in use. The devices presented are those used to carry specific weights. Don’t miss this possibility to come and try lifting some of these weights to find out how simple machines work. Also, don’t forget to note down the 3 dates of exhibition-related kids workshops: November 21, and February 13. If you can’t make it on these dates, the Science History Museum organises kids activities almost every Wednesday. It can make for a beautiful day with a walk by the lake, activities in the museum, and picnic in the park – or is this a bit too ambitious? You still have several months to visit the Lego sculptures exhibition in Palexpo, and get inspired for life. Just remember that with Halloween, Escalade, and Christmas, time will fly fast and before you know it all Lego will be packed and on the plane back to the US. Oh! Did I mention Bricks 4 Kidz is hosting Lego workshops in Palexpo? Yep! 1h workshop will be available on the following days at 14h30 and 16h: November 4, 11, 17, 18. More details about the workshops here. Like every year in November, Automnales in Palexpo is where you can go to stay dry, warm, and have some fun. 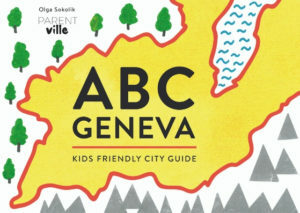 A fall festival of Geneva has plenty of fun waiting for the kids: from a “school on the farm”, through the inflatable playground, laser games, escape games, all to the Wednesday the 7th of November with a introduction to scrabble, and some organizational tips for kids. Also not to forget the accompanying International Dogs competition and Cat World Cup, that all kids will love! My tip: check the parallel expos to find an event crafted for your family: dogs, cats, Japan, dance, lake, or mountains. Absolutely #parentvillerecommended ! When a museum of ceramics host activities for kids aged 2-4, I’m instantly intrigued. Small kids and porcelain sounds exciting, doesn’t it? Enrol your child to one of the 3 sessions in the Ariana Museum this month and see for yourself! This month kids will explore optical illusions (fr. trompe-l’oeil) while discovering fruits and vegetables in the museum’s collection. They will also have the chance to create their own optical illusions! The city of Vernier is becoming more and more famous for its rich cultural program, including the offer for children. In November kids are invited to discover the world of moustaches through a puppet show! A world where houses, trees, pebbles, clouds, stars, birds, dads, moms, grandpas, grannies, Marcel’s little sister, Archibald’s cat and even the sleeping princesses have whiskers that grow! One character doesn’t have it though, he runs and tries to catch one. In other words, it is a show about identity and differences. For children aged 5+ and their families. You can find the hours, prices, and more details about this show on this website. Are you a cat person? A unique Cat World Cup will be taking place in Palexpo during the Automnales. This Autumn Swiss World Cup was created on the occasion of the 85 years of the Cat Club Geneva. Many activities await cat lovers: cage decorating, presentations of breeds, games around the cat universe, and guided tours. This show is different each time because the story depends on the public. As the actors come on stage they have nothing to tell, they need the audience to make the story, and so it is the children who decide on the characters, an era, a place, the emotions, and more. The actors create a unique show filled with laughter, sharing, and cooperation. The stories that emerge are accompanied by original music. For more details check out the show’s website. Although it is not a kid-oriented event, it is an interesting expo for the English-speaking (not necessarily native) community in Geneva. Parents can discover businesses, projects, and brands created by fellow expats, and kids can enjoy bouncy castles, face painting, and balloon sculptures. Whole families can also enjoy the live shows prepared for the expo, including Bollywood dance. You can find info about all the stands, and accompanying events on the Expat Expo official website. A Sunday brunch hosted by the best family friendly restaurant in the city, where kids will play under a watchful eye of a nanny. The brunch will consist of a buffet filled with fresh, local, and seasonal produce. Un R de Famille is well known for its good quality cuisine. Kids up to the age of 2 don’t pay, and those aged between 2 and 14 pay 2 chf per year of age. Cost for adults is 35 chf. Reservation is required (by phone only: 022 328 22 23). A bit more details can be found on Facebook’s event page. The restaurant is fully accessible to people with reduced mobility, but it is better to inform the restaurant when you will arrive, so they can prepare the ramp. Ice skating feast is coming up, so sharpen your blades, get your warm clothes out of the basement, and have some sliding fun! It’s the best winter sport that you can always practice without leaving the city, and this event is great to start the adventure! People of ages and levels will have the ability to try out figure skating, ice hockey, and other activities! You can also just watch demonstrations of various ice sports. A DJ will be there throughout the day to assure the festive atmosphere. The Festival will take place at both Vernets, and Vergers skating rinks. For more details click here. To cultivate one’s dreams and overcome one’s fears is Black movies Automnales’ mantra for November. Grand Cinema for the little ones is the autumn edition of the annual Black Movie, which usually takes place in January. It is addressed to children aged 4+. Throughout four months, 19 short films from 15 countries will be presented during projections in different locations, including Grütli, Grand-Lancy, Meyrin, Bernex, Onex, Plan-les-Ouates, and Chêne-Bourg. Each month the films will be exploring a different theme, in November: soil. 6 short films from the Czech Republic, Japan, Iran, India, and France telling stories about digging up bones, planting candy in hope to see a tree emerge, and more. As a part of the “Christa de Carouge” exposition, the Museum of Carouge proposes a children’s workshop. Led by Atelier Nolita, children will play with the graphic lines of the Christa de Carouge’s clothes. It will start with discovering the exhibition, after which aspiring artists aged 4-12 will create textile objects themselves. How about a free dance session for your little one? Pas de Chaton, a new dance school for kids, will be hosting an open day, during which kids aged 3-5 will be able to try their courses. Participation is free, but donations are welcome (they will all go the Association Dansehabile). The courses aim to develop the rhythm, coordination, and corporal expression of the child. These courses prepare the children for the technical learning of classical and modern dance that they can start at the age of 6 (the school also offers classes for those aged 6+). Dance Games Course for 3-4-year-olds will start at 17h15 and last 45 minutes. The Pre-dance course for 4-5-year-olds will begin at 18h15 and also last 45 minutes. More details on Facebook. The storytelling night on an autumn evening, cuddling with parents while listening to the tale – it seems like a perfect night for me! This event was created back in 1995, and since then traditionally takes place on the second Friday of November in all Switzerland. The goal is simple: to promote reading on a daily basis by bringing children and adults together around the pleasure of storytelling. In Geneva, storytelling event will take place in Ferme Sarasin (Grand-Saconnex), the Natural History Museum, Maison de Quartier in Carouge, Maison Verte & Quartier in Grottes, Maison Onésienne, Foyer Béthel, Résidence Butini, and Crèche Rondin-Picotin. The entry is free of charge. You can find the whole program here. Are you a dog person? If yes, around 5000 dogs of 250 breeds and 27 countries will be waiting for you in Palexpo! The Geneva Dog Show is a competition with many categories. Check the program, but if you want to go just for the sake of the dogs’ cuteness, it doesn’t matter which day and what time you’ll get there. More activities will, of course, be happening on the weekend, including kids/parents workshop on Sunday at 11h (biting accidents prevention). The traditional autumn book sale will take place in November! This is an must-attend event for all those looking for books in English for their kids, and themselves. On the sale: second-hand books, CDs, DVDs, and games. At the Sale there are thousands of second-hand English-language books – adult, junior, fiction and non-fiction. Also available: children’s books in French and other languages! The tea-room will be opened during the sale, so you can enjoy your new book quickly with a cuppa tea. A new, absolutely fabulous place is opening up in Geneva! Destined for kids aged 3+, Exploracentre is a perfect mix of a museum, play centre, and a science paradise. Unlike in a museum, everything can be touched, as in a play centre everything is playful, and as in science paradise, it is all about science. It is Parentville’s top pick for this month and months to follow! Mes Pulls Font La Manche proves that shopping, brunch, and kids can go all together hand in hand! It’s a travelling vide-dressing accompanied by drinks and food. On November 11th it will also be partnered up with a tasty brunch made with love with seasonal produce, and a nanny to entertain your kids. Hundreds of clothes, a “you set the price” corner, many creators. All this in a lovely Café les Volontaires. You can find all about this event here. The 14th edition of this national festival of women and feminism is looking absolutely brilliant! For 13 days many events will take place across the canton, including 3 events for the young public.You can find the program here, or read forward about the events for young audiences. On Sunday November 18 at 11h and 15h, a spectacle in the Manège d’Onex. On Saturday 24 at 11h, kids aged 6+ are invited to very feminine stories by Vi Indigaïa in Café Nénuphar in Vernier (storytime will be followed by brunch!). On November 25 the famous Bulle d’Aire will take over with two activities: sound painting at 9h30, and Music box at 10h30. This traditional tale belongs to our cultural heritage and is rich in a multitude of teachings. Embellished with simple, sober and colorful decorations for the best effect, it will speak to both the small and big! More info on ColorMyGeneva. A 20th cinematic odyssey in Latin America will be happening again in Geneva! A special program, FILMARcito, will be offered to young viewers and families. Be sure to check their website soon – the detailed program will be announced on October 30 on this website. An ongoing exhibition “La Fabrique du Monde” proposes somewhat topographic activities for children aged 8+ around the sculpture “L’Enfance de plie” – a landscape work placed in front of the “l’école des Boudines. The workshop for children will start with the tour of the exhibition and then move outside to the “L’enfance du pli”. 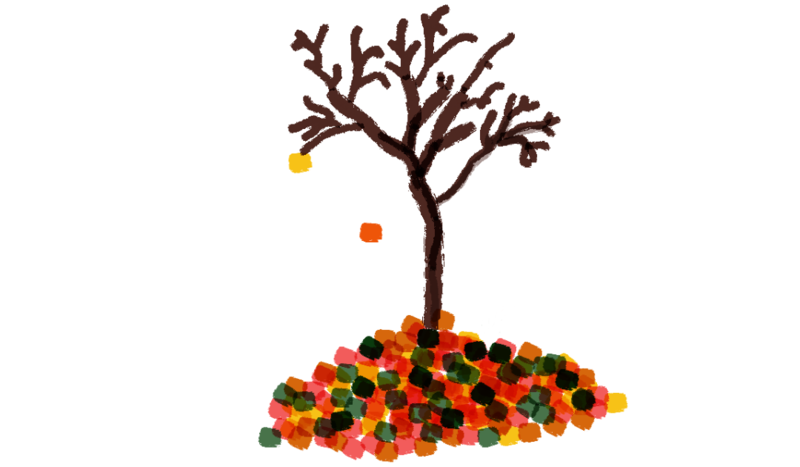 Children will make a map of an imaginary landscape. While the world is all about 3D, the activities will help kids transform 3D into 2D. On other days, everybody is invited to come and explore this intriguing landscape-piece-of-art, to run on the curves, and see how they play synchronously with the surrounding mountains. It is never to early to introduce children to the beautiful interiors of the Victoria Hall, and the wonders of classical music. Orchestre de Suisse Romande invites families to a 1h concert of melodies by Bartók, Stravinski, and Ravel. You won’t have to stress too much about your children’s childhood behavior, as this event is for them! You can find all needed info here. Ice skating again. This time it’s ice skating rink in Vernets, with a disco starting at 19h30. Ice skating fun accompanied by a dj and games of light. More details here. How about a dancing Sunday morning with your little ones? A fun workshop that allows exploration, creation and improvisation. Guided by two dancers-pedagogues, step by step, the adult-child duos freely explore different body languages, letting their imagination and their senses run wild. A truly unique experience! Just beware prior registration is needed! You can find out all about it here. A big charity show “Chansons douces ou autres vers d’oreille” (eng. “Sweet songs or other ear worms”) needs your attendance! This annual show organized by the association “Un Enfant Un Cadeau” aims to bring christmas joy to disadvantaged children with your help. Come as a family and instead of a ticket, present a new and unwrapped gift at the entrance. It will later be offered to child in need. More about this project here. The founder of TotUp creche was very quick to respond to a need of activities for fathers and their children. Most places are usually filled with women and their kids, where dads can feel awkward. TotUp has started organizing The 3h workshop includes sport activities, cooking class, and a lunch, and a small-talk time. More info on TotUp’s website. When it’s getting too cold, wet, and dark to spend time with kids outdoors, the theatre is always a good choice. Each year the Simply Theater prepares a seasonal show, and we are safe to say that this year’s winter season this year will begin in this English-speaking theatre in Versoix with their winter musical show – “The Snow Queen”. This adaptation of timeless classic Hans Christian Andersen’s story will transfer children into the enchanted world. Please visit the Theatre’s website for show timings, ticket info, and to reserve your seat online. The traditional Ecolint Winter Market will take place this year in the La Grande Boissière and its Art Center. A great occasion to start collecting Christmas gifts, and get into the seasonal spirit around the various stands, activities for the whole family (DIY, competitions, electronic games), and by supporting charities chosen by the school through various student art projects. Students of the school will also provide musical entertainment, while food stands will be there to fill your tummies. All the raised funds will go to the Parent Teachers Association Fund and school-supported charities. I have no idea where I found that info, no mention on Ecolint’s website just yet. The title of the show in eng is “Bring Me Your Stories”, and it is literally what it is all about! Bring your picture books, drop them on the scene, and the actor will improvise the stories based on the pictures! This impro shows are funny, touching, and surprising for both children and adults. It’s a brilliant way to transmit the love for theater to the kids! The show is amusing, comical, and absolutely interactive!